See scan - perfect condition. Comes with original trifold ribbon. This is a very nice and rare Imperial Austrian Emperor / King Franz Joseph I 50 years GOLD plated bronze / GILT jubilee medal - Army / military issue. The gold plating remains in an almost perfect condition, which is very rare for this particular SIGNUM MEMORIAE / SIGNVM MEMORIAE medal. 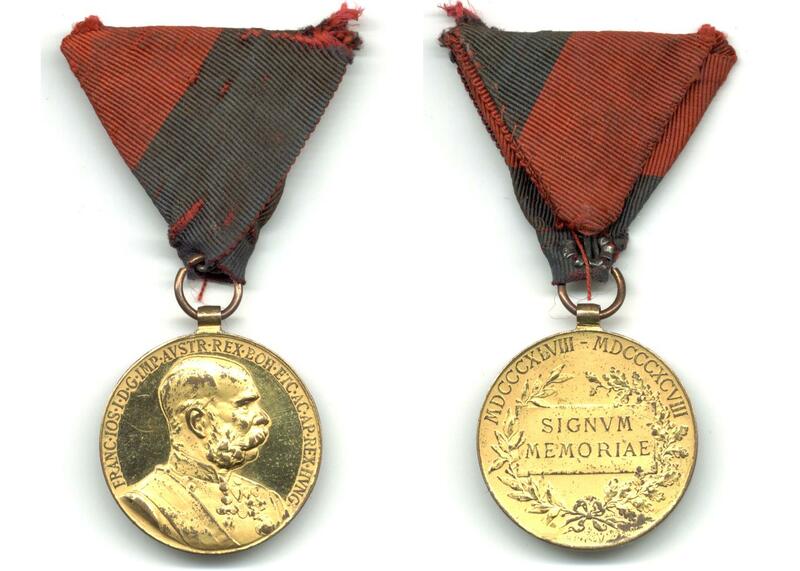 Very rare militaria / military collector piece and one of the rare Austrian medals. Catalogued at Vernon's Collector Guide at $175.